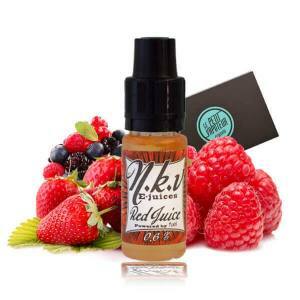 NKV E-liquid is a range of e-liquids concocted by the famous reviewer Nukevapes. He is behind the design and production and assured by High-Class Liquid (in Germany). This range of complex e-liquids contains a 50% PG / 50% VG base without additives, water, alcohol or artificial colouring. The NKV E Liquid is a range of E Liquids for the Electronic Cigarette without Alcohol imagined in France by the reveiwers "NukeVapes". Thought by vapers for vapers, the NKV E Liquids are produced in Germany by a brand of High Quality Liquids, known for the "how to" and the quality of the products. The E Liquids are free from Alcohol is also a French-German mixture of good quality, created on a base of 50% PG / 50% VG without Alcohol of course without any additives, water and colourings. A reviwer is a magazine or a person who tests the products and shares there detailed comments on-line or YouTube for example. 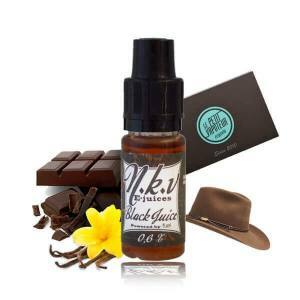 Discover the E Liquid for the Electronic Cigarette without Alcohol NKV. Le Petit Vapoteur proposes a range of NKV E Liquids, allowing you to easily find a liquid for the Electronic Cigarette without any alcohol which is best suited to your needs. Let yourself be seduced by the Acidic side of the Red Juice - Red Fruits, for Raking Fire - Spices and Bourbon, for the freshness of Green Juice - Mint and Aniseed and again for the softness of E liquid with the Classic Black Juice Aroma. Discover the range and find a French Liquid without Alcohol amo,gst the range of NKV Juices.